Comics, Manga, Novels, Magic Cards, Games, Toys & More! Every week there is a multitude of new comics flooding our shelves. At time this can be overwhelming, and too many comics plus too small a budget (or just not enough time) can be a disaster and a disappointment. Many people are accustomed to coming into the shop, picking out their usual and then leaving, with perhaps maybe a bit of browsing in the meantime. This post will hopefully shine a light on some potential great picks while you're in the shop! TV's favorite Vampire Slayer returns to her continuing ongoing. After the shakeup events that took place in Seasons 8 & 9, Season 10 seems to promise taking things back to basics. Vampire vs Slayer, the age old battle, will reignite yet again in the first issue of Season 10, brought to you by Christos Gage and Rebeka Isaacs, both old hands at Whedonverse, and the team that brought you Angel & Faith. 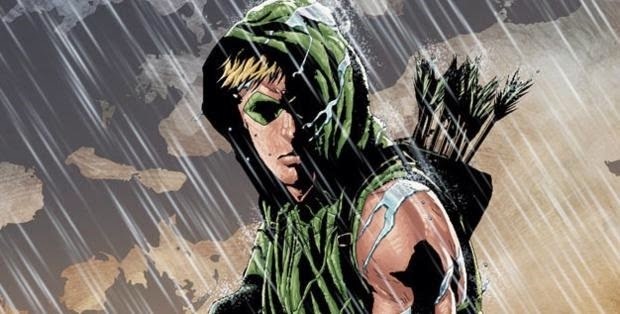 Jeff Lemire and Andrea Sorrentino's Green Arrow run has been critically acclaimed, receiving widely favorable reviews after the panned opening arcs of the book. This trade paperback is the perfect jumping on point. The collection begins with issue #17 (Lemire's first issue and the beginning of what was a soft reboot) and ends with issue #24. There's no better time to get caught up and jump into this book than the present, and this book allows you to do that flawlessly, leaving only several other issues between the end of this trade and the issues currently being published. 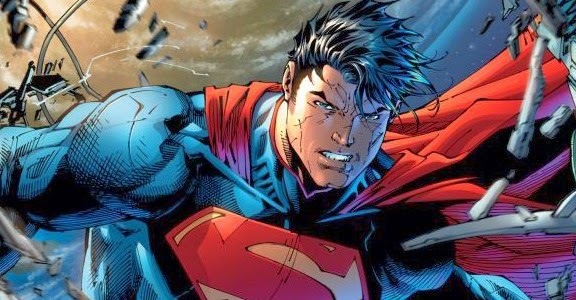 The riveting tale of Superman being told by the superstar team of Scott Snyder and Jim Lee is working its way towards its epic conclusion. In one of the last issues of the limited series, Superman goes toe to toe with Wraith in what is sure to be a battle with at least one fantastical splash page. Elsewhere, Lois Lane must reach the Fortress of Solitude, or watch it, and possibly herself, suffer an unfortunate and untimely fate. In a book that is evenly balanced between story and art, this tale continues to unfold, winding towards its conclusion. Be sure not to miss out on any chapter. It would be criminal to miss out on any issue of Lazarus. Written by the infinitely talented Greg Rucka with perfect accompanying art by Michael Lark, it is one of the consistently best titles being put out these days from any company. An intriguing blend of dystopian future, mob wars and Game of Thrones, it tells the story of the Carlyle Family's Lazarus, Forever Carlyle and the plots that continue to thicken and unfold around her. A seamless blend of high octane action and continuously intriguing mystery, this book will not disappoint you. One of the most successful comics coming out of somebody that is not the Big Two in the last couple of years, Saga continues to not only sell well, but to tell amazing stories. Volume 3 collects the adventures that take place in issues #13-18 and allow us to follow Marco, Alana and co. through their survival and magic-fueled space adventures. Written by Brian K. Vaughan, the mind that brought you Y: The Last Man and with art by the infinitely talented Fiona Staples, Saga is a book that will go down as one of the best and most enjoyable titles in recent years. Be sure to stay caught up, and to check out the single issues that we have in stock at the shop. Sovereign #1 is a book that could turn out to be Image's next breakaway hit. 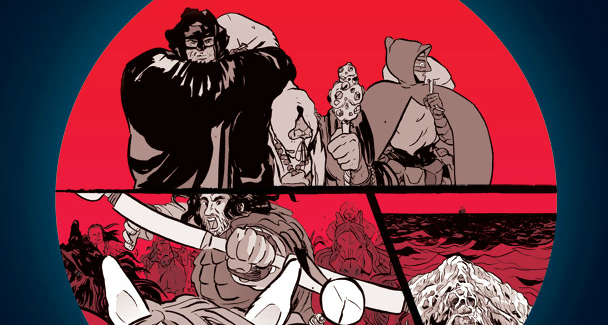 The solicit bills it as an 'epic fantasy in the tradition of Game of Thrones', and it's set in a world that 'once knew gods, demons, and magic, and to which all three are returning'. A solicit is not always a good judge of the tone and content of the book, but if you're a fan of Game of Thrones or the fantasy genre at all (and honestly, even if you're not), this book seems like a no-brainer to at least try out for the first issue. Staying in line with relaunches and new titles across the line under the header of All-New Marvel NOW!, this week Mark Waid and Chris Samnee relaunch Daredevil with a brand new ongoing. Picking up with a brand new story taking place in San Francisco, this title will be sure to continue the dynamic and compelling nature of the previous volume, retaining the same creators driving the book. Carol Danvers has solidified her place in the Marvel Universe as one of their top heroes, and quite arguably their leading lady. She's been inspiring people in the real world in the form of the creative and talented Carol Corps, and now her legacy is growing inside the Marvel Universe, as well. 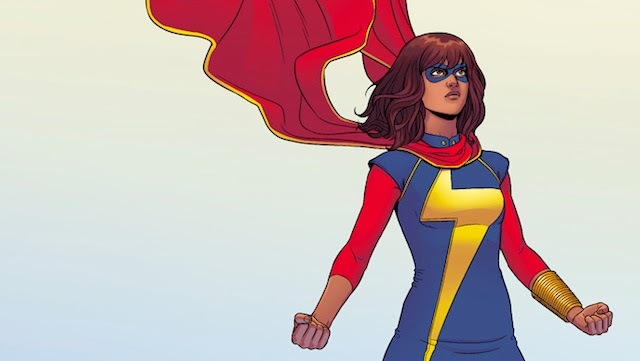 Ms. Marvel tells the story of Kamala Khan, a young teenage girl who, after the events of Inhumanity, has come into powers. She's trying to find her place in her own little world, and now in the world at large. Inspired by Carol Danvers, she will take on the name Ms. Marvel and craft a legacy of her own. Ms. Marvel #1 was one of the best issues to come out in a while. It's hitting a feeling and an audience that arguably no other Marvel book is hitting, and opens up the universe and its representation even further. It's a recommended read for everybody, and in case you missed the first issue, its second printing comes out the same day as issue #2!